“We’re not in the food business, we’re in the people business!” Norman Brinker is credited with saying. Norman Brinker founded Brinker International (amongst many other impressive accomplishments). This organization, along with franchisees, currently operates more than 1,500 restaurants in 32 countries and two territories. You have probably eaten at a Chili’s or Maggiano’s Little Italy location. According to Tony Bridwell, the Chief People Officer for Brinker International, the company trains all staff on the principle that “the guest experience will never exceed the team member experience.” When you take care of your employees and make their needs a top priority, customer satisfaction naturally results. I heard Bridwell speak at a conference recently where he challenged the audience to learn from and apply some of the same concepts they apply at Brinker International. According to Bridwell, we are all wired for connection. Set priorities to determine what matters most to you. Remember that people watch you every day – at work and at home. Think about what story your life is telling day after day. Whether you realize it or not, how you spend your time is a huge indicator of your priorities. 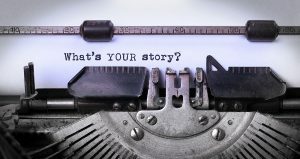 What stories are being told about you? Are they the stories you want to have told? As you wrap up 2015 and reflect on the year, which priorities worked well and which might you want to set differently for 2016? Start planning now for your stories in 2016. Be deliberate about how you spend your time and it will impact your stories. What impact could that have on your team next year? What impact could that have on your customers/clients in 2016? The possibilities are endless! Betsy Winkler is a Partner at PeopleResults. She can be reached on Twitter @BetsyWinkler1 or on email at bwinkler@people-results.com. Sign up to receive her and her colleagues’ blog at Current.